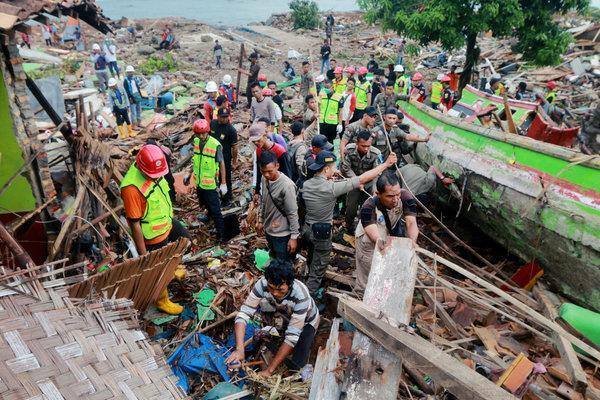 Indonesian rescue teams struggled to reach remote areas on the western coast of Java amid an “extreme weather” warning after a tsunami killed more than 400 people last week. “We have developed a monitoring system focused specifically on the volcanic tremors at Anak Krakatau so that we can issue early warnings,” said BMKG head Dwikorita Karnawati, adding that a two kilometre exclusion zone had been imposed. Volunteers have to piece together makeshift bridges out of concrete blocks after the waves washed away infrastructure along the coast. 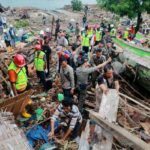 Indonesia is a vast archipelago that sits on the Pacific “Ring of Fire.” This year, the country has suffered its worst annual death toll from disasters in more than a decade.